'Round these parts, DT that is, we like wagons and manual transmissions. And we like 'em Swedish. These are all great things that can be found in the same car every now and then. So how about the one that started it all? 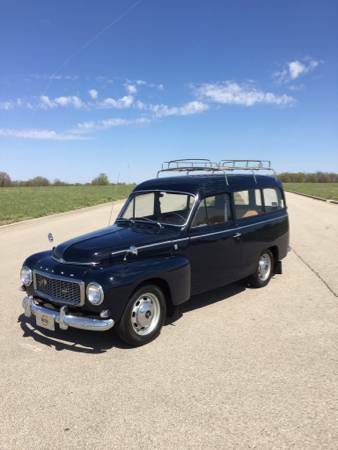 Find this 1967 Volvo P210 Duett Wagon for sale in Overland Park, KS for $19,500 via craigslist. The Volvo P210 Duett was made from 1953 until 1969 and was the first Volvo wagon. 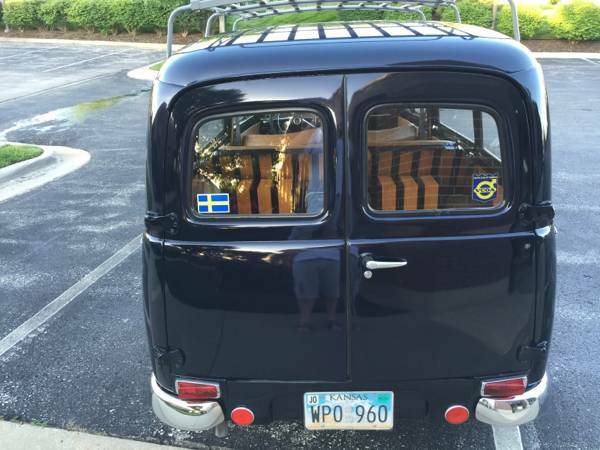 This example is said to be one of 25 to be found stateside, making it a rare wagon, indeed. It is hard to determine the authenticity of this car's interior based on the pics, but it looks pretty fresh. Any Volvo buffs out there have an idea about whether this interior looks original? Based on pics in the ad, this car has a dual-carbed 4 cylinder. If original, it should be good for around 90 HP. This is sufficient for something this size and respectable for the era. Fact: All vintage Volvo enthusiasts, even the stooped, grey, cane-using ones, are also rabid 2 Live Crew fanatics. Okay, maybe that's not entirely true, but if it were this wagon would be ideally equipped. For some reason, a previous owner decided to make it into a brutal bass monster. 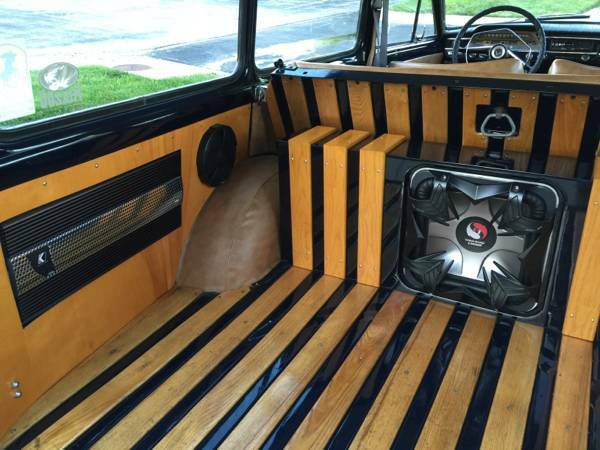 I don't know if tasteful is the right word, but the stereo installation seems to be clean and professional. Hey, if using this Volvo to rattle window panes motivates the owner to keep it in good running condition, then crank it up. Nope interior is not that close to original. Then again the original is closer to a lawn chair that a car seat. This will be much better ride. Had a 122 wagon for a while and loved it. A P210 is my favorite Volvo. Had a friend with one. We both had Matchless G80 motorcycles. He could roll down the handlebars and it would fit in the back of his Duett. They would take a bit of work to make them comfortable for long distance driving. As an around town carry all wagon they are the best both for fitting everything in as well as looks. 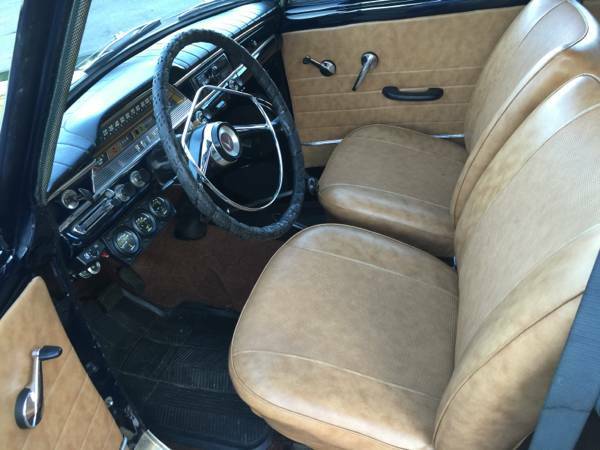 The foor panels and seat overs are exactly like my '64 except for the blotchy tan color. This would have been a Canadian import for that year. It also has the correct wheels and caps for after '64. The rear deck is correct except got the music box stuff. Lotsa money but not a better one around right now of this low number year. Tom, first off I'm jealous of you with your '64 Duett. How is the ride? The one I had experience with was older, '58 comes to mind but could be wrong. Had a B16 I believe. Seats cushions were very thin, especially the back. Sound insulation was none existent. Loved it anyway. It's been a few years, but it rides like a heavy 544!